I was panting for breath as I entered the doctor’s cubicle. The place was the Medical Inspection (MI) Room on board the aircraft carrier INS Vikrant, where I was serving for my sea acquaintance after joining the Navy! Every year one had to undergo a mandatory medical check up to ensure the physical fitness and the report would go back to the headquarters to update the personal record. The doctor was dressed more like a belle dancer, as I walked in the cabin after a knock. He was sipping coffee and motioned me to sit down and gather my composure, as he quickly got dressed. He was a qualified pilot to fly on board an aircraft carrier besides being an expert in Aviation Medicine! After a few quick checks he asked me to lie down and reached for an aneroid sphygmomanometer to measure the blood pressure. After making me wear the pressure bandage he went ahead with the procedure. After two attempts he asked me if I had run, as he found BP to be on the higher side. I confirmed that I had run down the flight of steps on an almost vertical gangway to reach the place. He asked me to lie there for another half an hour till he returned. This time he once again repeated the process and said that he was not happy to see the result and directed me to take ‘Calm pose’ tablets before sleeping and advised me to come after three days. Three days later I showed up again and the doctor went about the procedure and stood transfixed! He asked ' do you drink’? ‘Tell me about your daily routine and also what you eat’ he continued. ‘Do you smoke’? He queried one more time. ‘No sir, I don’t touch cigarette’ I said a little impatiently. ‘Damn it! Then start drinking and smoking’ he growled as he signed my medical document in desperation, declaring me fit. haha, so you were actually perfectly fit! And what an routine Rahulji. No wonder people in uniform are so fit! Will be here, when you are back from your 2 week break. Have a great time! PS: What are calm pose tablets? Reminded me of the last episode of Satyamev Jayte, though it has nothing to do with the doctor being corrupt, in this case. once in Air show we roamed around entire air show only to see Men in Uniform ;) after which we girl gang realized that we had totally neglected all the MIGs there!!!! Oh so sweet, Ramya that you like men in uniform :) A huge thanks and sure will try to write even while away on vacation:)A nice anecdote about airshow! lol!!!!! Have a good vacation! And be back soon! :)) have a fun time!! Excellent Sir , It takes a lot to be all fit, I use to be like that but sadly things have not worked out good ..
but then its good it keeps the doctors in business he he he he ..
Good one and enjoy your vacation! Thanks alot Rachna! Sure will! 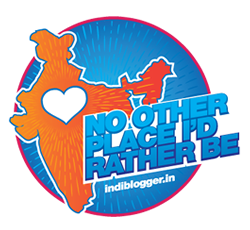 None of those minor vices rubbed on me till now:) Thanks and welcome to my blog! That was so funny! Enjoy your break! He advised you to drink and smoke, must be really frustrated to see your result for the third time. Enjoy your vacation and Happy Birthday Sir. A doctor advised you to drink and smoke! What a doctor's dilemma ...funny indeed! Thanks a lot Simran for liking anbd your best wishes! A profound thanks Giribala for those lovely words and wishes! I will try to catch up with your blog even on vacations if possible! ha ha- will miss you- have a good two weeks holiday!!!!! I will try to see if I can catch up with the nice blogs too, Anjuli:) Thank You! Happy Birthday, Rahul! Enjoy your holidays!! Ha ha! That was a nice ending. It is great to be fit! Ha ha I was thinking something else. :-) I enjoyed the read! :D So did you follow the doctor's orders? I haven't read a better anti-climatic punch than that in some time! USP,Coming from a prolific master of suspense I take it as a huge compliment! BTW I too was rattled with the advice! Thanks a lot Uma for your wishes! Thanks Rachna and agree on similarities:) will write more after the break! Haha...doctors can be funny too. Too funny at times Vinati:) hope you are done with exams! That was a fun read Rahul! Happy Birthday and do enjoy your vacation..BTW INS Vikrant had my voice over for visitors who came on board to see the ship.My brother was serving the navy then..
A small world indeed Sharmila where Vikarant is a common factor! he was so desperate to find one..
That was a breezy little read. :) What a surprise at the end! ;)That sure must have come as a surprise to you too! :) And I admire your fitness routine too. A cool guy, this doc! Funny indeed and I enjoyed it with a laugh! Have a great vacation Rahul! 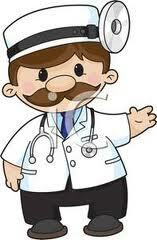 Doc was a pilot too so he was just as fit but had small vices:) thanks Radhika and welcome to my blog! Raul..." Un mèdico del dilema "
We sail in the same boat Zuzana! thumps up for the doc! hahaha! This is a nicely written post. We would like to get in touch with you and feature your posts on our blog. Oh - that is amazing! Having good health is treasure. nice :) seems like a real dilemma for doc to fix this out ! Touchwood! And yes, I wish there were more Docs like this, who just dont threaten patients with complex and confusing names! HAHAHAHA! And did you heed his advice? You lead a very disciplined life, all you service people. Two rounds of exercise a day. Wow! That's so good. Hope you had a great time with your family. and look at me, wishing you after your holiday :) Doctors are often surprised to find their patients fit and then go probing into some cause that might have escaped them :D Good to see you back! The docs response was funny and confusing at the same time. I wondered why it would bother him that u are fit! Hi Rahul, hope that you are well. I am sorry for being so absent lately...I am still on vacation and barely have time to check out my fav blogs. I will be back to proper comments next week! Sam, it is just fine as I too was away for over two weeks and just returned yesterday:)I tried to catch up with your lovely blog whenever I got an opportunity! Have a great vacation and would love to read about it!